What Is an Interest Checking Account? Interest checking accounts allow you to earn interest on easily accessible cash. They have features of both checking and savings accounts, which make a perfect combination for many consumers. 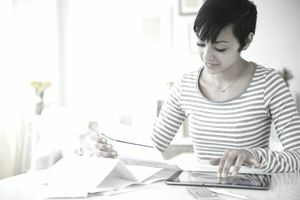 So, what exactly is an interest checking account, how does it compare to other alternatives, and where can you open one? We’ll cover all of that here. An interest checking account is a checking account that pays interest on the money in your account. Traditionally, checking accounts are not interest-bearing accounts—they’re for short-term cash that you’ll spend soon. Savings accounts are better-known for earning interest, but savings accounts (due to federal law) limit how often you can make certain payments from the account. With interest checking, you can use the account as a standard checking account. Use your debit card for purchases, write checks when needed, set up automatic electronic payments, and use online bill payments from the account. All the while, you will be earning interest on your balance. While interest checking comes with many benefits, some interest checking accounts have restrictions. Make sure you know what they are before opening an account. Start by understanding your needs. Once you understand the restrictions, evaluate whether or not interest checking is worth it. You might not earn much, especially if you keep a relatively small balance. You might even earn more by keeping funds in a high-yield online savings account and shifting money over to your existing checking account as needed. There are three major categories of interest checking accounts. A standard checking account, typically offered online, that pays interest and offers checking features. A money market account, offered by most banks and credit unions, which technically isn't a checking account. Reward checking accounts, which tend to have more restrictions and are harder to qualify for, but which pay the most interest. For plain-vanilla interest checking accounts, online banks are an excellent place to start. Those accounts often pay more than you can earn from savings accounts at traditional brick-and-mortar banks. If you need ideas on where to open an account, start with reviews of Capital One 360 and Ally Bank. While not technically checking accounts, money market accounts may be exactly what you need. These accounts fall under the category of savings accounts, but they typically pay more than most savings accounts—and they offer limited check writing and a debit card. However, you're limited to six or fewer payments per month out of these accounts. Some banks limit you to only three transfers per month, so money market accounts are best for infrequent expenses. If you're not already familiar with these accounts, learn how money market accounts work. Money market accounts are a good fit for emergency funds, but they might not work for your everyday checking account. Reward-interest checking accounts are harder to find and qualify for. That's because you only earn interest if you meet certain requirements, and doing so can take some work. For example, sometimes you have to visit a bank branch in person to open an account. Other requirements include the need to use your debit card frequently, sign up for online statements, set up direct deposit, and pay one or more bills online through the account. Reward checking accounts usually pay a competitive annual percentage yield (APY)—even higher than long-term certificates of deposit (CDs), in some cases. But you don’t earn interest (or you earn less interest) if you fail to meet the criteria in a given month. For example, if you’re required to use your debit card 12 times, but you fall short, the bank pays less. To find reward checking, look for small banks and credit unions in your area.